Here's hoping Apple's doesn't plan to shut down the most powerful automation tool for the iPhone and iPad. After this week’s news that Apple had acquired iOS power user app Workflow, you’d be excused for being a bit confused about the future of automation on Apple’s platform. After all, it was just last November that Sal Soghoian, Apple’s product manager of automation technologies, left the company when his position was eliminated. And yet, Apple snapped up Workflow, an app that many had compared to Apple’s own Automator, which was introduced way back in 2005’s Mac OS X Tiger. So what gives? Is there still some life in automation and scripting features on Apple’s platforms, or is this merely a case of Apple acquiring useful talent? Scripting’s been part of the Mac since the earliest days. AppleScript, which grew out of HyperCard’s HyperTalk scripting language, was built into System 7 back in 1993. It was a way to automate complex tasks across multiple applications, and it had a lot of power thanks not only to its deep integration into the OS, but also to third-party developers who made their apps addressable by the scripting language. But for all its power, AppleScript has always been a bit esoteric. While it was intended to be accessible and used a sort of natural English syntax, it was often still too complex for the average user. On the other end, those used to more traditional programming languages found its idiosyncrasies equally baffling. When AppleScript found its way into OS X—if anecdotal accounts are to be believed, almost entirely thanks to the willpower of Soghoian—it laid the groundwork for Automator, a graphical and more user-friendly attempt to handle the kind of tasks AppleScript had. But Automator never quite managed to live up to its potential. In many cases, one had to fall back on AppleScript or UNIX shell scripts to accomplish some functions, and its graphical interface still wasn’t enough make it friendly to most mainstream users. But as computers became more mature and powerful, there wasn’t always the same need for automation and scripting as there had been back in the early days when many users needed to also be part programmer to get things done. Many tasks that had once been automated could now be handled by applications created by Apple or third parties. Though both AppleScript and Automation stuck around in subsequent releases of OS X, neither got any real attention from Apple. A few years after Automation’s introduction, the iPhone showed up with no automation capabilities whatsoever. Though many parts of OS X made the jump to the platform, AppleScript and Automator were left behind. Almost 10 years later, that situation hasn’t changed. It was just in 2014 that apps even got the ability to communicate with one another. 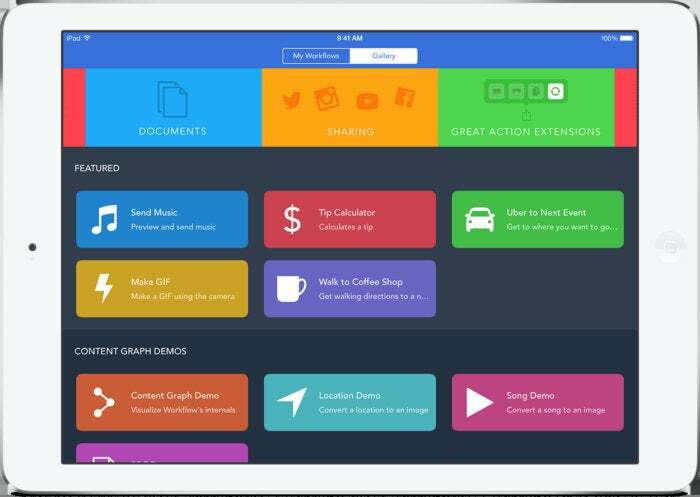 Enter Workflow, an app that is, on the surface, very similar to Automator, providing a graphical interface with which to automate complex tasks across apps and services. But the kicker is that it pulled all this functionality off without Apple’s help. While some have embraced Workflow’s power, it’s suffered from the same challenges that Automator has encountered on the Mac. Most users either don’t have or haven’t identified a need for automation, and for the fraction that have, only another fraction go through the trouble of finding and learning to use a tool like Workflow. Will the future be automated? All of which makes Apple’s acquisition of Workflow even more puzzling. The easy answer, of course, is that Apple was impressed with the resourcefulness of the development team and wanted to hire them. In the long term, that will probably mean shutting down Workflow. I’m not convinced, though, in part because Workflow provides useful features that aren’t available anywhere else. (And Apple’s first move was to make the app free, which could be a sign they plan to keep it around.) That could be a compelling enough argument for Apple to make use of the app’s capabilities itself. Why reinvent the wheel if the company is interested in bringing automation to iOS? And, frankly, it should be. Even with the addition of app extensions in iOS 8, inter-app communication has remained a weak point. Why not bring Workflow to the Mac? Well maybe because at its more mature age, it isn’t crying out for automation in the same way. AppleScript and Automator are still there, after all, and while they might not get more useful as time goes by, neither has their functionality been snatched away. 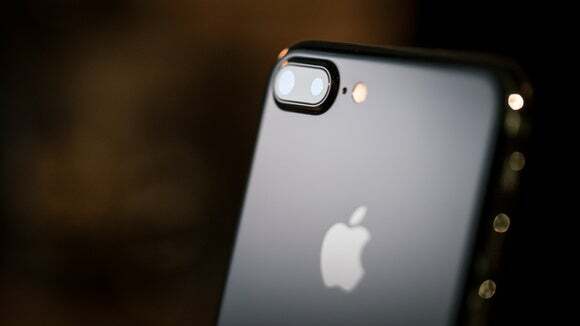 But let’s face it: iOS and the iPhone are the most prominent part of Apple’s identity these days, and what happens there sets the tone for the company. It’s a no-brainer that the company wants its products to get more powerful and useful, and Workflow’s capabilities might be one way to do that.